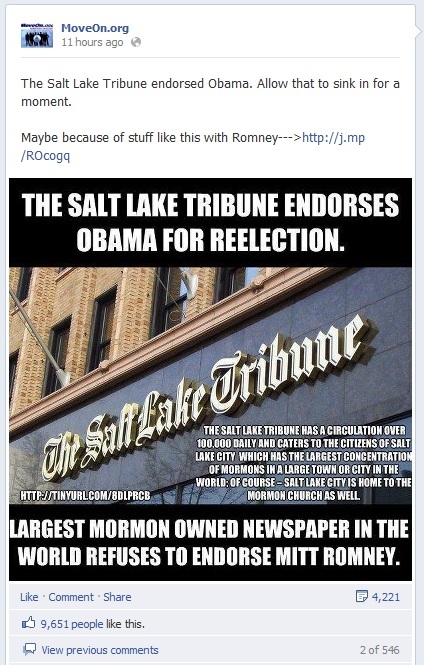 The Salt Lake Tribune is not Mormon-owned. 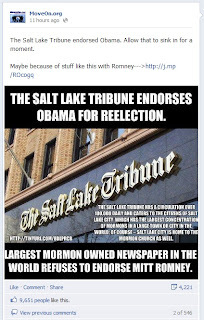 It's owned by an out-of-state corporation, MediaNews Group. And it has a history of liberal editorial policy despite its conservative constituency. They endorsed Obama in 2008, too. In totally unrelated news, new study shows that Republicans are significantly better informed than Democrats.